Before visiting NV, the new Pearl District apartment building by ZGF Architects, I assumed its name referred phonetically to the word envy, as in the envy passers-by might have of those living here with valet parking and 360-degree views of the city. According to NV's signage and its website, however, the acronym actually refers to the French phrase "autre ne veut," which they translate as "like no other" but more literally means something like "want no other." While the building has a welcoming presence on the ground floor and its units seem handsome enough, when I look at NV's exterior cladding, be it the drab gray metal and glass curtain wall or especially the attention-seeking mirrored stainless-steel tiles at its corners, I can't help but think the latter translation might be more fitting, as in "I want no other building to look like this." 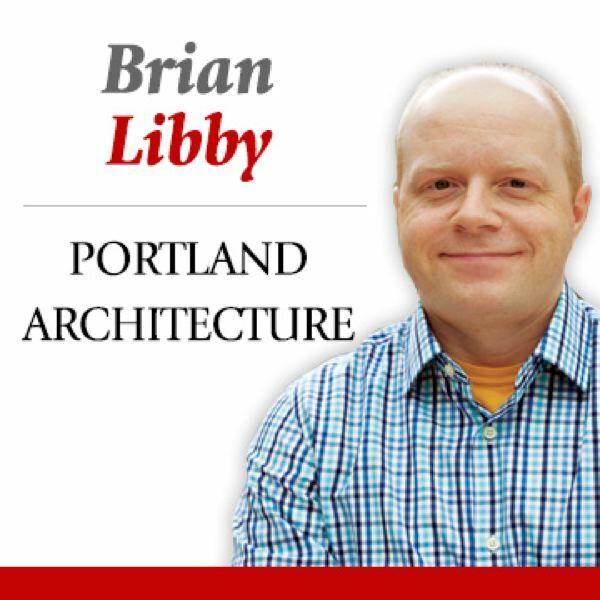 Over the last half-century ZGF has designed many local landmarks from the KOIN Center and the Oregon Convention Center to Director Park and much of the Portland International Airport (including that glorious glass canopy). In recent years, the firm has especially been on a roll, with innovative office towers like 12 West (the nation's first to be topped with wind turbines) and a striking expansion of the Nike World Campus under construction in Beaverton. Beyond Portland, ZGF has designed highly acclaimed projects like the Hatfield Dowlin Complex at the University of Oregon, the Stanford University Central Energy Facility and the Rocky Mountain Institute headquarters in Colorado. Along the way, the firm has deservedly racked up accolades. Last month, ZGF won awards from local chapters of the American Institute of Architects and the International Interior Design Association, for the US Embassy Compound in Suriname and the Stoel Rives corporate offices here in Portland. Last year Architect magazine even named ZGF the nation's number-one firm, and this year gave ZGF top marks for its sustainable design (see page 7). But every project is a different case. NV is comprised of a 16-story tower (holding 284 apartments) rotated 45 degrees from its two-story, brick-clad base. There's a valid reason for the rotation — to maximize occupants' river views — yet it creates a sense of incongruence that only continues with the cladding. And while we shouldn't judge a book by its cover, there's no denying exterior materials are the biggest problem. They make NV look both cheap and gaudy. 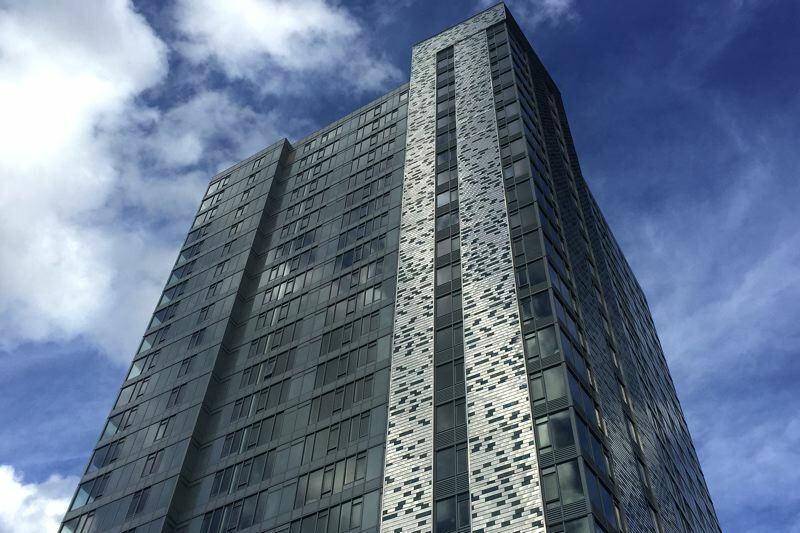 The shiny stainless-steel tiles at the corners seem to be overcompensating for the rest of the dreary gray façade. The building was designed by ZGF's Seattle office for Unico Properties, a client that manages scores of office buildings throughout the western U.S., but has developed just two multi-family housing projects over the last 11 years, both renovations of old buildings. And indeed, take away the shiny corner tiles and NV looks like an ordinary office building. At this northern edge of the Pearl where there was once nothing but rail yards, developers and architects are creating a neighborhood from scratch. That's not easy. Yet the bigger problem may be that projects like NV seem to be treated like investments first and architecture second. When that's the case, no one is likely to envy the result.